The Cruvinet Nitrogen Supply System creates nitrogen from thin air and supplies in to the Cruvinet Wine by the Glass Dispenser. The Cruvinet Nitrogen Supply System delivers nitrogen on demand. The system operates safely, quietly, and reliably. It delivers nitrogen as needed, day in and day out. 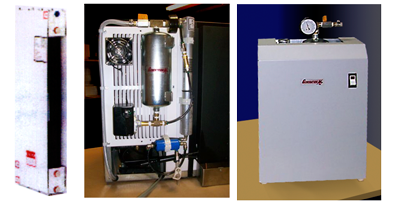 Gone are the days of expensive nitrogen cylinders that run out of gas at inopportune times. Unlimited nitrogen is delivered on demand. Protects premium wines from "turning"